South Africa hosted the 2010 FIFA World Cup behind unprecedented fanfare and rituals. Nearly a billion viewers watched this showcase worldwide. However, few would ever be privy to the dark side behind this façade. Debate on the event was largely dominated by questions related to the capacity of South Africa to host such a mega event, as well as discussions on business profits, or socio-political and symbolic benefits. FIFA reported that it was the most commercially successful World Cup ever. The event was ironically hosted in the world’s poorest continent and hence brought to fore the contradictions of opulence and poverty. It raised questions on who really benefited from the event and what it represented. Did it make any contributions in alleviating the plight of the workers and the poor? This column is a ‘snap-shot’ of some of the debates and contradictions. The sector by nature is highly cyclical and hence a majority of workers are in precarious employment. It is one of the most exploitative sectors, characterised by flexible forms of employment and migrant labour. Trade unions in the sector are weak (density below 10%) and fragmented. This was one of the first sectors to ‘feel’ the impact of this mega event. It was propelled out of a decline which had persisted for almost three decades by the World Cup construction projects and massive government infrastructure development in energy and transport. Employment in the sector increased from just over 200,000 in 1998 to over a million in 2008, at the peak of the boom. The unions organised workers strategically through an initiative by the global federation Building and Woodworkers International (BWI)’s decent work campaign. This brought together three of the main unions in the sector and achieved marginal gains for the unions. At the end of the campaign, unions reported a 10% growth in membership. However, many of the workers were retrenched soon after completion of the projects. In addition, its sustainability is questionable as it was not initiated nor driven locally. The campaign, however, afforded a rare opportunity for a ‘united’ labour movement in the sector, though unions remained divided and fragmented. Constructing stadiums for a world tournament instilled high expectations in ordinary workers, in contradiction to the ‘business as usual’ stance adopted by contractors and government. Conflict was inevitable and the 2010 World Cup construction projects have perhaps recorded the highest levels of industrial conflict in the event’s history. At least 26 strikes were reported from all the projects and most were not sanctioned by the unions. According to research by Eddie Cottle (2010), workers received an average of 12% wage increase which amounted to R2933 (€293) per month by the time the projects were completed, against an average increase in profit of 218% in 2007 for the contractors. South Africa has one of the highest crime rates in the world. Hence security was a major issue for the tournament. The security sector in South Africa is one of the largest and fastest growing in the world, with an average annual growth rate of 13% since 1994. There are at least 6400 accredited security companies and South Africa has one of the highest ratios of security guards to policemen with over 385,000 security guards to 180,000 police officers. The World Cup brought windfall gains for security companies. Some reported increasing revenue and profit threefold. For personal bodyguards, for example, companies charged between R2000 (€200) and R40,000 (€2000) per day. This translated to the equivalent of over two year’s salary for some of the workers. The security sector is designated as a ‘vulnerable sector’ as it is characterised by precarious employment, low pay and long hours (60% of workers earns less than R1700 [€170] per month). There is no bargaining council, very little social and health protection and over 93% of workers are not unionized. 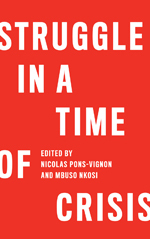 This predicament was highlighted during the 2006 strike, the most violent strike in post-apartheid South Africa, in which over 60 security guards were killed. The situation of this sector reflects some of the contradictions of South African society, notably the relationship between the demand for security and levels of crime and inequality. Many of the 2010 World Cup guests in hotels and restaurants may never be privy to the fact that the workers who served them were ‘freemen de jure but slaves de facto’. Most are paid on commission or only depend on tips as a source of income. Such practices are prevalent even in up market hotels and restaurants. The monthly minimum wage, for the few privileged to have a wage, is about R1800 (€180), but is often ignored. Unions are poorly organised and mostly confined to big hotels and restaurants. The sector is very complex to penetrate and density is low (below 20%). Interviews with union officials revealed that here is a very high prevalence of migrant workers, most of whom do not have documentation to work in South Africa. In large urban centres, it is estimated that 80% of the workers in restaurants are foreign. This makes it risky for them to seek redress where they face unfair labour practices. According to the interviews conducted, the unions in this sector did not see any opportunities arising from the tournament. They argued that their problems were perennial and could not be tied to a once-off event. Most hotels and restaurants outsource services such as catering, cleaning and security; hence most workers are employed by third parties. Over 60% are in precarious employment without social benefits such as medical cover and pension. The conditions of work in this sector are very complex, exploitative and characterised by a very high decent work deficit. South Africa has a very poor public transport system. The ‘minibus sector’, one of the legacies of apartheid, is dominant, accounting for over 60% of public transport, but is predominately informal. Ironically, despite heavy investment in modern train and bus systems, it represented one of the prime modes of transport for the 2010 World Cup. It employs over 185,000 workers who work under deplorable conditions. Most have no formal contracts, leave or health protection and earn very low pay. They work excessive hours (with an average as high as 16-18 hours) and have a limited collective voice at work as fewer than 20% are unionised. A new rapid bus service was unveiled just before the tournament to ease the urban transport during and after the event. A number of minibus drivers were recruited for the rapid bus service. Most had been previously retrenched and were hired as casual workers with no prospect for secure employment. As they had been organised as minibus drivers, they immediately approached the union for protection from exploitation. They organised a strike against poor conditions of work which exposed the contradictions of the tournament. The textile and footwear sectors in South Africa have been overwhelmed by cheap imports, especially from China. The unions attempted to minimise imports and support local brands, but were not very successful. However, one of the major unions in the sector collaborated with Adidas and identified local factories for production of soccer regalia for the local market at affordable prices. Three factories complying with the bargaining council agreements were identified. The initiative created about 2500 jobs for three months. Adidas was apparently protecting itself from the global unions’ Clean Clothes Campaign which targets major sports events. In interviews, however, the unions did not view the tournament as an opportunity for organising and claimed it was unsustainable as it created temporary jobs. A significant proportion of the South African production takes place in sweatshops and homes where there are no standards of work (Shane Godfrey et al., 2005). Hence the sectors are largely characterised by a very high decent work deficit. This was perhaps the first time that the FIFA World Cup was to come ‘face to face’ with the informal economy. South African street vendors, like any business persons, had big dreams. However, they were shattered by FIFA’s ban on trading on all venues and surrounding vicinity to protect big global capital. For many, this was a nightmare as informal trading in and outside stadiums is part of the African football ‘culture’. Some inhabitants of informal settlements, who naturally are mainly confined to the informal sector, were forcibly evicted in the name of cleaning up the cities before the event. The 2010 FIFA World Cup deceived and shattered the dreams of many workers and poor people. Initially, it obscured class differences and its underlying ideological agenda as it was associated with a rhetorical sense of national identity, self-esteem and pride. However, this was deceptive as it did not represent or advance such values. The super exploitation of workers and the economic exclusion of street traders to protect and advance the interests of global capital (McDonald’s, Coca Cola, etc) epitomise the meaning of the FIFA World Cup. It is a phenomenon of neoliberal globalisation designed to represent, reinforce and advance the ideology and hegemony of global capital at the expense of workers and poor people. There may have been fair play in the soccer field at the World Cup, but foul play was the rule for workers. 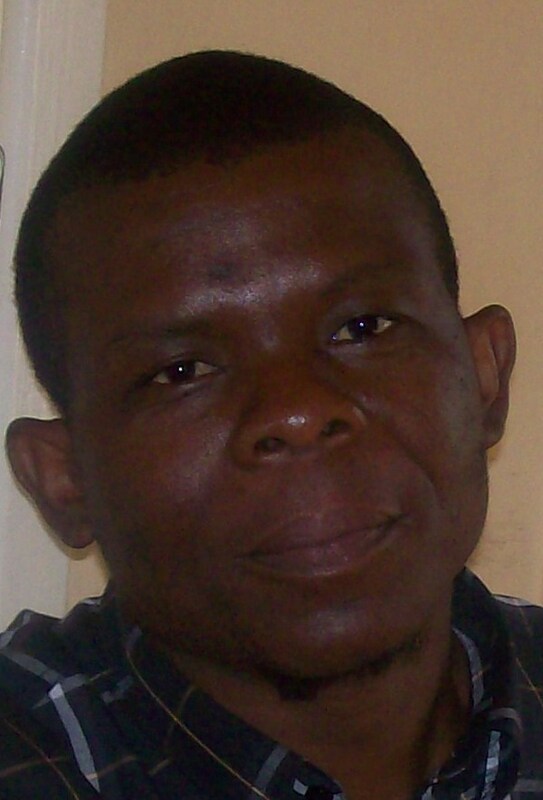 Crispen Chinguno is an alumnus of the Global Labour University Masters programme at Wits (South Africa) and currently an International Center for Development and Decent Work (ICDD) PhD fellow at SWOP, Wits.